If you plan every trip down to the minute and share printed copies of the resulting itinerary with your travel companions, well, stop being that person. Because according to Anthony Bourdain, you're doing it all wrong. In a recent Facebook live Q&A hosted by CNN, the insanely well-travelled Bourdain was asked to provide tips for beginning travelers, to which he provided this wise piece of advice: "Don’t have too rigid a plan." The TV host and ex-chef went on to explain that the most memorable travel experience will come out of an “unexpected romantic accident” and stressed the importance of those unplanned moments that emerge when you're forced to discard the itinerary because things went awry. 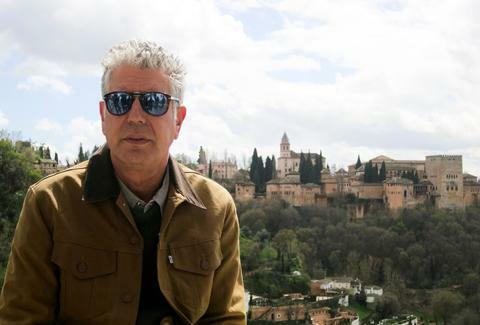 Bourdain emphasized his point by adding, "It’s never the Eiffel Tower and Louvre you remember for the rest of your life," meaning that while famous, landmarks are never going to beat that spontaneous accident that turns into a life-changing event. And no, don't add "romantic accident" to your next itinerary. Just be calm and heed the wise words of Bourdain. Kara King is a News Writer at Thrillist and tries to control her need for itineraries. Send news tips to news@thrillist.com and follow her at @karatillie.